The Suzuki Service Payment Plan is designed around your motorcycle and your motorcycling needs, making it an easy and smart way to handle the cost of servicing. Whether you have just purchased your Suzuki motorcycle or scooter, or owned it for some time, the Suzuki Service Payment Plan will fix the prices of parts and labour for up to three years safeguarding you against inflationary increases whilst guaranteeing your motorcycle is serviced by Suzuki-trained Technicians, who know your motorcycle inside and out. They of course will be using the latest diagnostic tools and equipment and will be fitting Suzuki Genuine Parts therefore ensuring that your Suzuki stays 100% Suzuki. You can spread your payments via monthly Direct Debits giving you the peace of mind of knowing all your scheduled servicing costs are taken care of during your plan’s period. 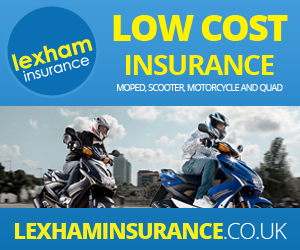 You can be safe in the knowledge that you pay the right amount for your scheduled servicing as the Payment Plan is based on your individual motorcycle and anticipated annual mileage. All elements of Suzuki scheduled servicing are covered by the Suzuki Service Payment Plan you have chosen to purchase – this includes the cost of materials, cost of labour and VAT (the VAT rate applicable at time of plan purchase will apply). The number of services included in your Suzuki Service Payment Plan is detailed on the first page of this document. These relate to your anticipated annual mileage, your Suzuki’s servicing schedule and the Plan duration chosen by you. Anything not included within the official Suzuki scheduled servicing for your vehicle, for example, any extra maintenance work or adjustments. Please note that your Suzuki Service Payment Plan has been calculated based on your anticipated annual mileage. If your annual mileage is higher than stated by you at time of Plan purchase, this could result in servicing dates being sooner than expected. In such cases you may not have sufficient funds in your Plan to accommodate the relevant services required and you will need to pay an additional amount to obtain the service.